June 26th through July 1st - hosted by Rochester Civic Theatre, AACTFest 2017 is the culmination of a two-year cycle of state and regional theatre festivals across the country, co-sponsored by AACT. The national festival features 12 community theatre productions, as well as a theatre management conference, theatre-related workshops, top theatre vendor displays, social events, sightseeing and networking opportunities, all ending with a festival awards presentation. 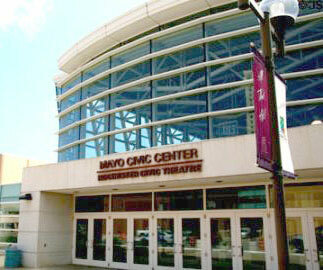 Workshops and meetings will beheld in the Mayo Civic Center, with performances in the Rochester Civic Theatre, within the same complex. This convenient downtown location offers visitors easy access to hotels, restaurants, shopping and entertainment in the states third-largest city, with a population of 110,00 friendly Midwesterners.